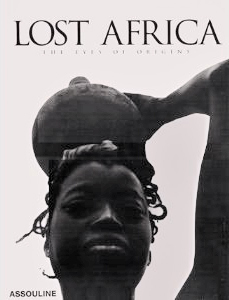 BOOKS: "LOST AFRICA - Eyes of Origin"
Photographs and text by Cyril Christo and Marie Wilkinson. In his Prophecies, Leonardo Da Vinci once proclaimed, “All men will take refuge in Africa.” What better place to re-create oneself than in that oldest of continents, the birthplace of the human race? It has been nearly thirty years since Cyril Christo first set foot in East Africa, in Kenya, and climbed its highest peak, Mount Killimanjaro. Years later, he went back with his wife, Marie Wilkinson, and today, he continues with faith, determination, and sadness to document the disappearance of the essence of Africa, land of space, nature and animals. With penetrating black and white images and a lyrically evocative essay, Lost Africa is a tribute to the beauty of this huge continent and a song for a timeless Africa.